This last January I was initiated into the Societas Rosicruciana in Civitatibus Foederatis (SRICF) and I was introduced to a set of terms that are not regularly used. One term was "Magus", which is the title for the 9th Grade (IX°). This term is also used as part of the title of the leader of the Masonic Rosicrucian order is also "Supreme Magus." Magus is a word that has been in use since at least the 6th century BC and is often associated with the mystical and magic (magic being derivation of magus); the plural of "magus" is "magi." For most people in the Western world, the term magi is associated with the Three Magi (or wise men) who visited the Christ child in the Second Chapter of the Gospel of Matthew. Magus is defined as "a member of a hereditary priestly class among the ancient Medes and Persians" or "magician or sorcerer." The earliest known use is found on the Behistun Inscription found on a cliff of Mount Behistun in western Iran which was said to have been written by command of Darius the Great. The origin of magus is believed to be from the Avestan word "magâunô" which was a reference to a Median religious caste or to Zoroastrian priests. The oldest reference to the word "magi" dates back to the 6th century BC when, the Grecian philosopher, Heraclitus cursed them for their "impious rites and rituals" although there is no existing record of who specifically he was referring to and what exactly of the rituals he found "impious." Herodotus, in the 5th century BC, uses "magi" to refer to both a Median tribes and a priestly caste. Xenophon in the 4th century BC referred to "magi" as being authorities for all religious matters. It was during the 5th century BC that the Greek words "mageia" and "magike" first appear to describe the activities of a magus. "Mageia" is closely associated to the modern definition of the word "magic" and was used to refer to using supernatural means to effect the physical world, or at least appearing to do so. Pliny the Elder, in the 1st century AD, contributed the invention of magic to Zoroaster and believed that men like Plato and Pythagoras brought it to Greece and Rome. While magi are heavily associated with Zoroastrianism, the term is often used to denote a priest of several religions. Zoroaster, also known as Zarathustra, is the legendary founder of the Zoroastrian religion. While his birthplace is uncertain, but some say it was Rhages (now Rayy, a suburb of Tehran) and it is said though that he lived in what is now Eastern Iran. There are also large discrepancies in regards to his date of birth. Some date his birth to 6000 BC, but most place it to the 7th century BC; some date it specifically to 628 BC based on texts concerning Zoroaster's proximity to Alexander the Great and the conversion of King Chorasmia in 588 BC. His birthday is celebrated on March 21, which coincides with the Persian New Year. It is said that he was initially a cobbler by trade, but by the time he was 30-years old he was preaching monotheism and his followers were adherents of Ahura Mazda (Wise Lord in Avestan), who was the sole god and creator in Zoroastrianism; a fuller explanation thereof coming in a later article. Zoroaster received visions and revelations from Ahura Mazda which were recorded in the Gathas (hymns) and Avesta (scriptures); it is also said that he received revelation by meeting face-to-face with his god. Around 77-years of age, Zoroaster was said to be murdered, but the circumstances surrounding the death are debated. Since his death, Zoroaster is remembered as a prophet, philosopher, mathematician, astrologer, and magi. Magi served many purposes, the most notable was their religious duties which included dream interpreters, soothsayers, interpreting the heavens, performing rites as rituals such as sacrificing livestock to the gods. While they had their religious duties they also sat as advisers in the courts of monarchs on the matters of administration and economics. They assisted in running warehouses which stored anything from grain and flour to beer and fruit. Magi also served in what we would today call a Notary as existing records show us one serving as a witness of a business deal. In one notable instance, magi are seen as guards of the tomb of Cyrus the Great. There is a great debate as to whether or not magi were strictly followers Zoroaster or if they could be any religion. It seems that "magi" meaning a "priestly class" did start out with the Zoroastrian religion, but the word was adopted by non-Zoroaster religions later on. Some scholars also argue whether or not the magi were followers of Zoroaster or if they were actually a class of heretical priests found in the Median region. 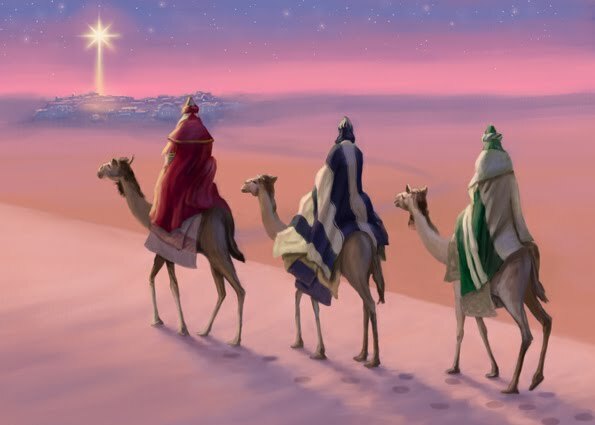 In Christian tradition, it is told that three wise men presumably named Balthasar, Melchior, and Caspar traveled from the East to find and honor the newborn King of the Jews. On their journey they met with the despotic King Herod who ordered the magi to report to him once they found the Christ child. Guided by the Star of Bethlehem, they found Him and bestowed gifts of gold, frankincense, and myrrh. The magi were warned in a dream not to return to Herod and so they traveled by a different route back to their home. In later Christian writings, the magi were identified as kings which was most likely linked to Psalms 72:11: "May all kings fall down before him". However, in the translations by St. Justin, St. Augustine, and St. Jerome, the wise men were still translated the original texts in its truest sense, that of magi or magician. Over the centuries various men has been referred to as a magus. In the 13th century there was a Catholic bishop named Albertus Magnus who is said to have studied and practiced alchemy, and was alleged to have been a magician. Another one was known as Agrippa, a German living in the 16th century, and was considered an influential occultist. Paracelsus, also known as Philippus Aureolus Theophrastus Bombastus von Hohenheim, was a Swiss-German philosopher, physician, botanist, astrologer, occultist, and accredited with being the founder of toxicology. Other notables are Christian Rosencreutz (legendary founder of the Rosicrucian order), John Dee, Francis Bacon, and Elias Ashmole. As I see it, one who holds the distinction and title of "Magus" is one who isn't just knowledgeable on their respective rituals and laws, but also seeks the deeper meaning of all things (science, nature, theology). In Freemasonry, specifically the Societas Rosicruciana in Civitatibus Foederatis, the rank of "Magus" is used to signify men of superior wisdom. As I am still just a new member of the Rosicrucian Society, I am still learning (being in the Learning Grades), but look forward to learning more about the magi and this enlightened order. 6. Mackey, A. G. (1873). Magi. In Encyclopedia of Freemasonry. 11. Pike, A. (1872). Morals & Dogma of the Ancient & Accepted Scottish Rite of Freemasonry. That a Messiah would come for revolt. To save the oppressed and the blind. Of the harsh Roman tyranny. That His was a mission of love. Redemption, God's grace to impart. But you make it a den of thieves." The priests asked "whence do you preach?" As just priests had the power to teach. Became the headstone of the corner." With the help of a Roman tribunal. While I have many different titles and ranks within Freemasonry, my primary focus has always been to the Blue Lodge and I don't always pay heed to the Blue Lodge on this site, but I have to take a minute to say that tonight was an excellent night for Lodge. To give some backstory, in Idaho to be a Warden you have to earn a Certificate in Proficiency in Opening and Closing in all 3-degrees as well as complete a test on Masonic Law. To be elected Worshipful Master, one has to have served as a Warden of a Lodge as well as show proficiency in conferring all 3-degrees; giving the 1st degree lecture, staircase lecture, G lecture, and 3rd degree lecture; and preside over a stated communication prior to election. Okay, now back to my story. Thursday night I received text messages from my Lodge's Senior Deacon who was asking for help with his proficiency. Friday afternoon I went to his house and we worked on Opening and Closing in the 3rd Degree and drank some great scotch (Balvenie 21). That night my Lodge was going to meet to confer the Sublime Degree of Master Mason on a Brother. I would giving the lecture as well as serving in other parts during the conferral, but I was pleased to see my Lodge's Senior Deacon open the Lodge as near perfect as could be done. Then for the Conferral and Raising, my Lodge's Junior Warden stepped up to do that part and check that off of the list of things to do to be elected Worshipful Master. The Junior Warden did a fantastic job and I am so pleased with my Brothers tonight. To summarize, 2 officers completed 3 items on the Warden/WM proficiency checklist as well as Raising a new Master Mason. Words cannot fully explain what a great night of brotherhood I experienced tonight. I know it has been some time since I've posted a new article, but my Master's program is taking up a great deal of my time. When I'm not working on homework, I'm working on my Master's Thesis. I've had more 30+ hours days working on my Masters (1-year) than I ever had in my 4-years working on my Bachelors. I am currently scheduled to be done with my Master's Thesis and program by July. Until then my posting will be down to just one or two articles a month. Once I've completed my Thesis, I will start publishing more articles and start work again on my book, The American Rite. Some of the upcoming articles will be on the Bicentennial of the Grand Encampment, the Idaho Grand York Rite, democracy and Freemasonry, the Knights of St. Andrew, the spread of American Freemasonry, the vaults of Enoch, Masons who were Supreme Court Justices, the Mythraic mysteries, St. Bernard of Clairvaux, the timeline of the Knights Templar, the spread of Freemasonry around the world, and more posts on Rosicrucianism. I may even have a few guest articles coming up.